This image of the full moon was taken by Alamelu Sundaramoorthy from Portland, Ore. on July 3, 2012. The month of August brings us not one, but two full moons. The first will kick off the month on Wednesday (Aug.1), and will be followed by a second on Aug. 31. Some almanacs and calendars assert that when two full moons occur within a calendar month, the second full moon is called a "blue moon." The full moon that night will likely look no different than any other full moon. But the moon can change color in certain conditions. The phrase "once in a blue moon" was first noted in 1824 and refers to occurrences that are uncommon, though not truly rare. Yet, to have two full moons in the same month is not as uncommon as one might think. In fact, it occurs, on average, about every 2.66 years. And in the year 1999, it occurred twice in a span of just three months. For the longest time no one seemed to have a clue as to where the "blue moon rule" originated. Many years ago in the pages of Natural History magazine, I speculated that the rule might have evolved out of the fact that the word "belewe" came from the Old English, meaning, "to betray." "Perhaps," I suggested, "the second full Moon is 'belewe' because it betrays the usual perception of one full moon per month." But as innovative as my explanation was, it turned out to be completely wrong. It was not until that "double blue moon year" of 1999 that the origin of the calendrical term "blue moon" was at long last discovered. It was during the time frame from 1932 through 1957 that the Maine Farmers' Almanac suggested that if one of the four seasons (winter, spring, summer or fall) contained four full moons instead of the usual three, that the third full moon should be called a blue moon. But thanks to a couple of misinterpretations of this cryptic definition, first by a writer in a 1946 issue of Sky & Telescope magazine, and much later, in 1980 in a syndicated radio program, it now appears that the second full moon in a month is the one that's now popularly accepted as the definition of a blue moon. This time around, the moon will turn full on Aug. 31 at 9:58 a.m. Eastern Daylight Time (6:58 a.m. Pacific Standard Time), making it a blue moon. However, there is an exception: for those living in the Kamchatka region of the Russian Far East as well as in New Zealand, that same full moon occurs after midnight, on the calendar date of Sept. 1. So in these regions of world, this will not be the second of two full moons in August, but the first of two full moons in September. 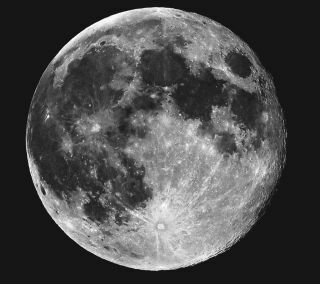 So, if (for example) you reside in Petropavlovsk-Kamchatsky or Christchurch, you'll have to wait until September 30 to declare that the moon is "officially" blue. While we've assigned the name blue moon to the second full moon of the month, it seems that we have no such name for the second new moon of the month. Nonetheless, these opposing phases seem to be connected with each other. For if two new moons occur within a specific month, then in most cases, four years later, two full moons will also occur in that very same month. As an example, there were two new moons in August 2008. Now, four years later, August 2012 will be graced with two full moons. The next time we will see two full moons in a single month comes in July 2015 (July 1 and 31). But if you still have a calendar leftover from last year, check the month of July. You'll find that there were two new moons on the 1st and the 30th.